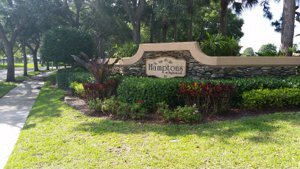 Homes for Sale in The Hamptons are one of three neighborhoods in the beautiful Maplewood community of Jupiter. Residents enjoy strolling down the sidewalks lined by attractive oak trees, and the community exudes family-friendly vibes. 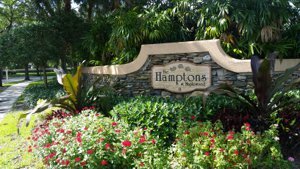 In addition to the excellent amenities, The Hamptons homes are just minutes away from Jupiter Beach, fine dining, great shops, top schools, and more. Real estate in The Hamptons is made up of single-family homes. In the 1980s, Burg & DiVosta built the homes as part of a three-phase project. Each concrete-block home in The Hamptons has 3 bedrooms and 2 bathrooms, plus a 2-car garage, all covered by a tiled roof. There is a total of 1,975 square feet of living space, secured by fenced backyards. 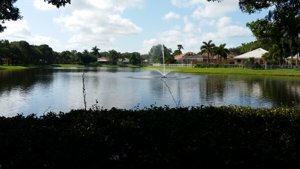 Some homes are situated next to the community’s lakes, and others feature swimming pools. Common amenities include fireplaces, skylights, and storm shutters. The Hamptons homes are also conveniently located near Abacoa, I-95, and the Florida Turnpike, making it easy for residents to travel for business or fun. In addition to The Hamptons’ gorgeous homes, residents are conveniently located near Jupiter’s wealth of shopping and dining. Only a short drive away is the Gardens Mall, which features upscale designers like Kate Spade New York and Coach, in addition to department stores like Macy’s and Nordstrom. When shoppers get hungry, they can try restaurants like California Pizza Kitchen, Brio, and P.F. Chang’s. The Abacoa Town Center is also close by, and it features a selection of boutiques and services like salons, photography, and more. Dining options include Copacabana’s authentic Caribbean and Cuban dishes and Jumby Bay Island Grill. Other nearby eating options include cafes like Dune Dog, Berry Fresh, and Center Street Nook. Italian dishes are served at Giuseppe’s, and Little Moir’s is famous for its seafood cuisine. Nearby Whole Foods, Trader Joe's, Raw Juce, Yard House, Too Jays, and many more fine dining options such as Seasons 52, Bonefish Grill, J. Alexanders along with a very popular Vegan Favorite Christophers Kitchen. To find new clothing trends, a TJ Maxx, Urban Outfitters among many others are all a short drive away. 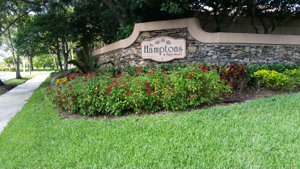 Hamptons residents are also close to the wide spread of shops, restaurants, and entertainment district of Riverwalk in Jupiter. The newest addition to the Riverwalk is Harbourside, a center for dining, shopping, and entertainment. Options include the always tasty and highly recommended Calaveras Mexican Cantina, along with Bravo Italiano, BurgerFI, Tommy Bahama, and more. If movies are your think you can watch the latest movies in a luxury setting, try the new Cinepolis, just across the street from Harbourside. Comfortable leather chairs, premium concessions, and top-of-the-line sound systems make movie-going an upscale experience. Just down the street from Harbourside on the Riverwalk, in Tequesta are craft beers from Tequesta Brewing Company, an organically certified brewer with over 40 beers in a year. South Florida's first microbrewery and winner of a Silver Medal at the 2011 Great American Beer Festival. Recreation near The Hamptons is filled with plenty of options. Of course, Jupiter Beach is only a short drive away, making it easy to relax in the Florida sun. The Juno Beach Pier is also a popular spot for its saltwater fishing opportunity. There are poles for rent, and even non-fishers can enjoy the views from before sunrise to after sunset. To travel outside the state, the Palm Beach International Airport is only a few short minutes trip. Residents of The Hamptons are served by the School District of Palm Beach County. 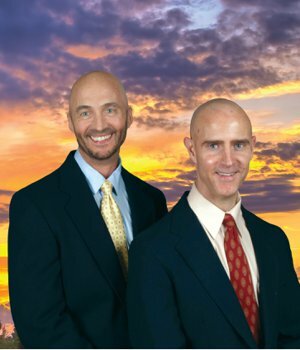 The area includes several of the district’s A-rated programs, including Jerry Thomas Elementary, Independence Middle School, and Jupiter High School. LEARN MORE ABOUT JUPITER HERE. For alternative education, several private schools are also in the area. In addition to the proximity of stellar education, the Abacoa community encourages neighbors to connect and stay active with many Abacoa recreational. SEE BELOW ALL THE HAMPTONS HOMES IN JUPITER CURRENTLY FOR SALE. BE SURE TO CONTACT US TO GET ON THE LIST OF NEWEST HOMES IN THE HAMPTONS AS THEY BECOME AVAILABLE. WELL PRICED HOMES IN THE COMMUNITY WILL GO QUICKLY. BE SURE TO GET ON OUR ADVANCED NOTICE LIST TO RECEIVE IMMEDIATE NOTICE OF THE LATEST LISTINGS PRIOR TO OR WHEN FIRST PRESENTED ON THE MARKET IN THE MLS. To get on The Hamptons waiting list Call: 561-741-9666 or Text: 772-349-8466.